Happy Friday, which in the summer almost seems like every other day, only everyone else around me seems happier that it is the weekend! It took awhile for me to select pins for this post, because it seems I pin a lot! I mean I had a lot of pins to look through. I think I could do this linky everyday for the rest of the summer and not run out of pins. So I picked just a few of things that I am really, really, going to try (not just dream about). This one is from Scholastic and there is a whole article discussing critical thinking activities for early finishers. I really like the way this one is set up and I have room on my math board to make this, so on the to-do list it goes. This one comes from Kindergarten Kindergarten. I love the pictures on each box of the students reading. I have this on my to-do list too. I just need to make another trip out to IKEA to buy more magazine holders (and anything else I happen to want need). This pin is from Tales from a Second Year Teacher (well first year when it was pinned :)) I love this simple way of introducing color to my reading area - with bath mats. I have used a colorful shower curtain before and taped it down but this is even better. 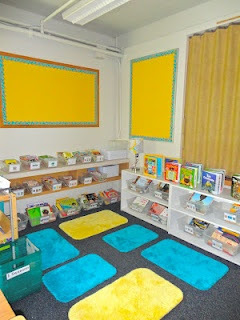 A few mats, a few pillows and voila, classroom color scheme achieved!! Okay I had to do one more. This one is from Two Tangled Teachers. 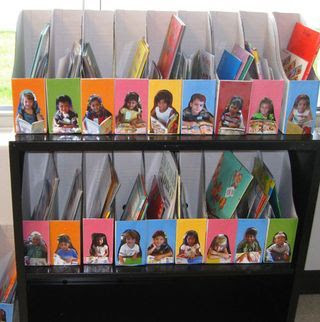 I love anything that includes a real photograph of the kids like this, the bookmarks, the winter scenes, I love them all. 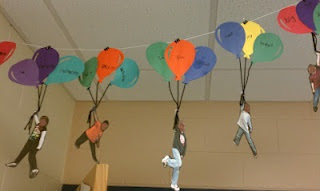 I think this is a great back to school idea, on the balloons they are writing their hopes and dreams!! 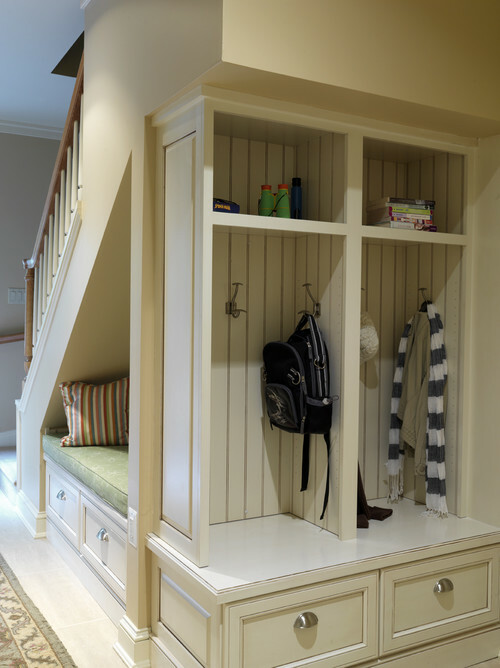 Speaking of dreams, there is this one from houzz and about a million other ones!! Traditional Entry by Bethesda Kitchen & Bath Designers Case Design/Remodeling, Inc. I am sure I will find so many more things to pin as I read through all the other posts! Happy pinning! Thank so much for sharing the early finisher pin! I have pinned it, and now my wheels are turning! I love the critical thinking picture! What I really like is how the numbers are posted for each student to put their sticky note on!!! Oops, I guess I had my blog link url copied instead of the html for blog address. Looooove that entry way :) So pretty and clean. Thanks for sharing your pins! I added several of these. Thanks for sharing!